MRS. ANNIE ZEIGLER BROWN was born July 30, 1930 in Birmingham, Alabama to Charles Sr. and Mary Zeigler. She moved to Indianapolis, Indiana as a young lady, where she graduated from Crispus Attucks High School at the age of 16. In the early 1950s, she relocated to Rochester, New York where she was employed as a Seamstress with Michael Sterns and the 3M Corporation. She worked with the Gates-Chili School District from November 1988 to September 2013, retiring at age 83. She also had a great compassion for people and enjoyed providing care for those with special needs. On January 30, 1954, she was united in marriage to James B. Brown in Rochester, New York. To this union, three children were born. Annie was a very outgoing person who valued family and enjoyed spending time with family and friends, playing games socially, caring for her plants and exercise. A gifted cook, she could literally cook anything, but was particularly known for her mouth-watering goulash and sweet potato cobbler which she often prepared for family parties and other gatherings. As a devout woman, she was a member of Aenon Missionary Baptist Church for over 50 years. Having the heart of a servant, she was a faithful member of the Usher Board for many years. Annie was called from labor to rest on February 18, 2019, predeceased by her husband and 3 brothers. 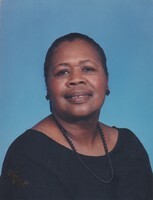 She leaves to cherish her memory: 1 son, Anthony Brown; 2 daughters, Amy and Whitney Brown; 2 grandsons, Jarrett Brown and Jordan Cardona; 3 granddaughters: Kielona Gaston, Taaliya Prescott and Ja’slene Cardona; 1 great-grandson, Kamryn Brown, all of Rochester, NY; 2 special nieces, Charlotte Torrance and Josephine Rogers; sister-in-law, Janet Waller and a host of other nephews, nieces, church family and friends, including dear friends, Edgar and Gracie Varela of Puerto Rico.ROCHESTER - She is survived by 1 son Anthony, 2 daughters Amy and Whitney Brown, 2 grandsons, 3 granddaughters, 1 great grandson, 1 sister in law and a host of nieces, nephews, other relatives. To send flowers in memory of Annie Z. Brown, please visit our Heartfelt Sympathies Store.